Dr. Michael Torosian & Dr. Veruschka Torosian The ONDAMED represents an innovative approach to helping patients with acute and chronic conditions, from emotional and neurologic conditions to acute sports injuries and everything in between. The ONDAMED technology is a sophisticated biofeedback technology which evaluates energy imbalances in the body and restores energy balance with very precise electromagnetic impulses. These energy impulses are distributed throughout the body to reduce inflammation, relieve physical and emotional stress and to strengthen and restore balance to all major systems in the body. This energy technology can obtain successful outcomes in many, varied clinical settings because it works at the cellular and sub-cellular level based on well established principles of biochemistry, biophysics and quantum mechanics. Practical examples of how the ONDAMED can be used to benefit patients in the general medical practice and the anti-aging clinic will be discussed. ONDAMED represents the new wave of successful medicine and is available to help your clinic patients today! Have you ever felt that ONDAMED sounds "to good to be true?" Many of your colleagues feel this way, too. ONDAMED has changed my life and the life of my family. I have been privileged to witness thousands of health and life transformations throughout the world with the combination of the ONDAMED System and existing treatment protocols. 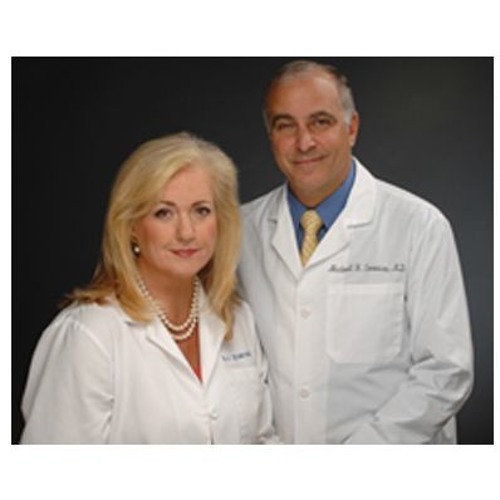 Dr. Michael Torosian and Dr. Veruschka Torosian are a perfect example. After three years of due diligence they added ONDAMED to their clinic. The results they are seeing after two years of clinical use are both significant and astounding, if not to say "too good to be true." Silvia Binder, ND, PhD CEO Ondamed Companies Dr. Michael Torosian is Medical Director of the International Wellness Clinic, and specializes in Anti-Aging & Regenerative Medicine. His specialty is the prevention of age-related diseases in men such as heart disease, peripheral vascular disease, hypertension, diabetes, dementia and cancer. He is a member of the American Academy for Anti-Aging Medicine and the World Society for Anti-Aging Medicine and is Board-certified in Anti-Aging and Regenerative Medicine. Dr. Veruschka Torosian is the Director of Anti-Aging and Regenerative Medicine of theInternational Wellness Clinic. She was educated in Germany in the field of Psycho-neuroimmunology and Integrative Medicine by world-renowned physicians and research experts from Europe. Her clinical specialties include Preventative, Regenerative and Naturopathic Medicine, Mind Body Medicine, and Natural and Nutritional Medicine.